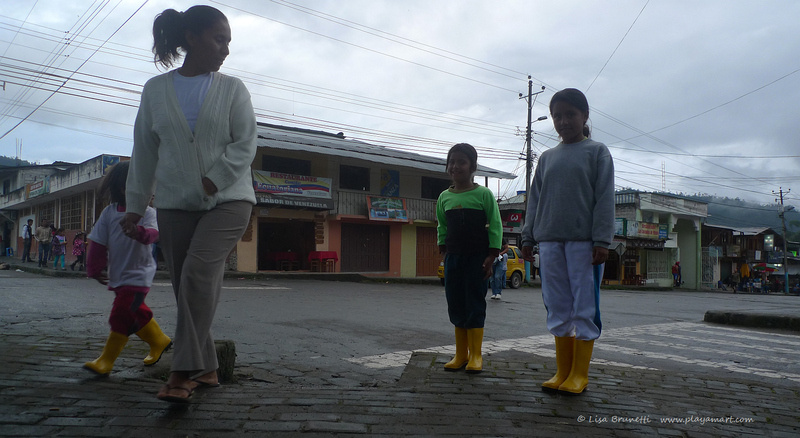 (Ecuador) While exploring the town of Mindo on Sunday afternoon (most attractions were closed) I admired these children’s bright-yellow boots! They were pleased that I loved them! After a brief conversation, they went in one direction, and I went in the other.